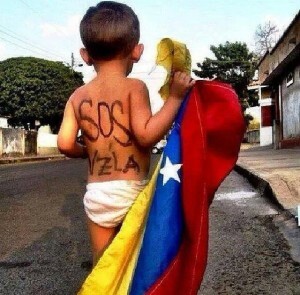 Since the beginning of February 2014, crisis in Venezuela has shaped into uprisings and strikes all around the country in protest of the current regime. Some of the protests are focused on bringing manifestos and demands to certain public offices, in the shape of closing streets as a symbol of civic disobedience, while others are impromptu public art shows in squares, malls and streets. These uprisings have many faces, and forms, but most of them are driven by the energy and strong position of students. In lieu of freedom of press in TV and most radio stations, and since most of the press is lacking paper to print what they want, “real” information is only found on the Internet. Social networks such as Twitter and Facebook are the best way to know what is happening everywhere in the country. Repression from the police, National Guard and army has been harsh, and reports of torture, death and unfair or illegal imprisonments keep flooding the social media. In the middle of this, non-governmental organizations that fight for human rights are the most reliable source when dealing with numbers and about what is really happening there. This show is one of a series of shows I produced on “La ventana Americana” to raise the voice about the crisis in Venezuela. It was recorded at beginning of March, when the uprising only had a month, by the time I am copying this post, the crisis continues and is past the third month. Alfredo Romero, is a director of Foro Penal,a non-governmental organisation. It is the most renowned and respected in Venezuela. 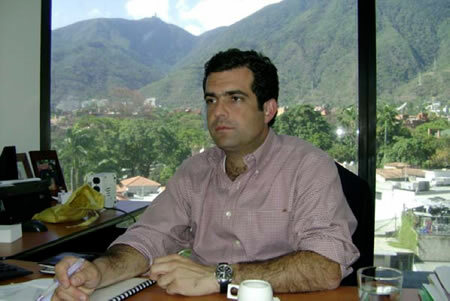 He is also the founder of the civil organization called VIVE (Venezuelan Victims of Violations or Human Rights). He is currently legal assessor for the latest organization, which brings reports of Human Rights violation to the Interamerican System for Human Rights from OAS. He had worked with several international Human Rights Organizations in the past, and has been awarded as a “Young World Leader defensor of humans Rights” by the World Economic Forum. He had also been awarded by Rotary International as a Public Servant, among other very prestigious international awards in the field. In this show, he tells us about what he witness every day since the uprising started, what kind of reports he has been filing. You can help making programs like this possible by leaving your comments, contributing with your ideas or materials, but also helping us raise funds. Remember to check our “Contribute” page to learn more. You may also download this show on your mobile device by going to our site in ITUNES or in PodOmatic or any other of the online platforms showed at the bottom. Remember that we thrive with your comments and your participation.